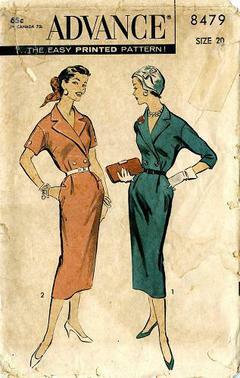 1957 Advance #8479 vintage sewing pattern, misses' shirtwaist slenderline dress, plus size 20. Slenderline dress features dropped shoulders, new shaped armholes, two sleeve lengths. 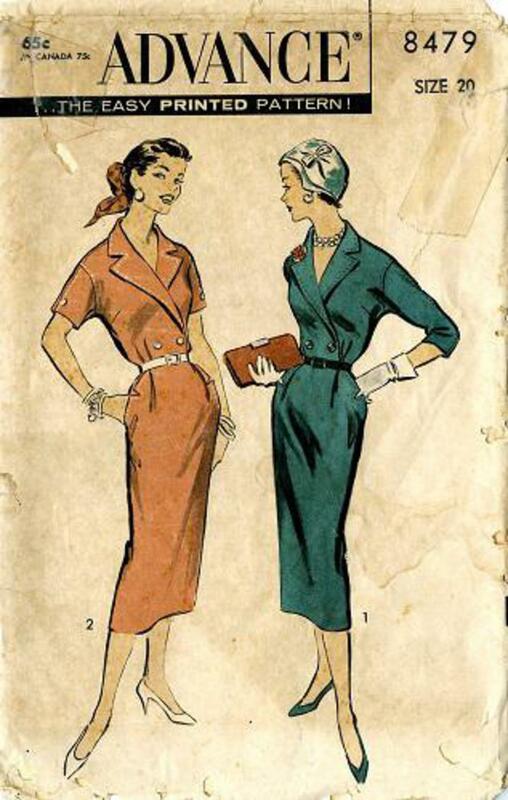 Notched, side-wrap collar and slim skirt with notched hip pockets. Finished with top saddle stitching. Slim skirt with soft folds at front, low walking pleat.